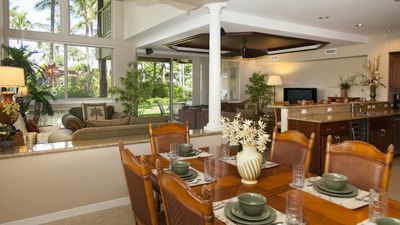 We call this Villa "The Gathering Place, " which is a 2-level luxurious town home at the Palm Villas at popular Mauna Lani Resort. 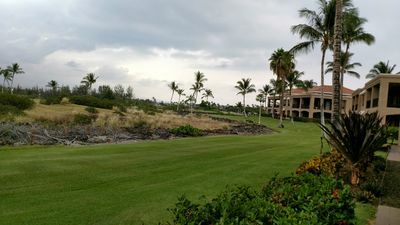 Walk to all activities including Fairmont Orchid hotel, Mauna Lanai Bay Hotel, beaches, golf, tennis, fitness, spa, shopping and dining! 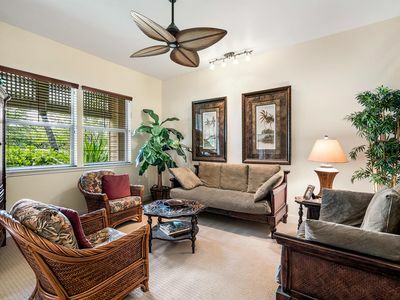 You will love the spacious and bright "Great Room" which has plenty of seating for all. The kitchen with breakfast bar, has stainless steel appliances and cherry wood cabinets complimenting the granite countertops. The kitchen is well stocked with everything you need to cook at home. The inside dining table will seat 6-8. The Master bedroom located upstairs has it's own veranda / lanai looking out to the palm groves and resort style pool with waterfall. The Master bedroom is supplied with a comfortable California King bed. The adjoining bathroom is luxurious with it's own large soaking tub and shower. There are two other bedrooms....The one upstairs has 2 twins and an adjacent bath, the one downstairs has a comfortable Queen bed. BONUS ROOM: Upstairs there is a additional den/loft with a trundle bed, (sleeps 2), TV, and desk with wireless internet if you have to sneak in some business while on vacation. 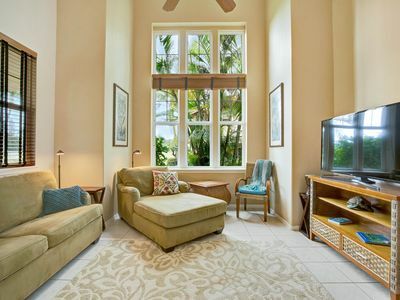 This condo is perfect for a large family as it can comfortably sleep 8. 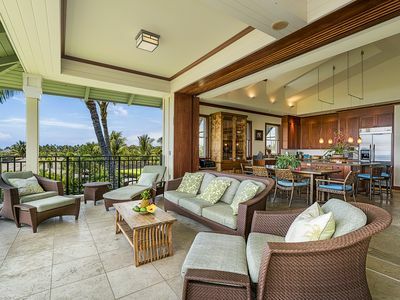 The downstairs LANAI has seating for four along with extra chairs to move in for a larger gathering. 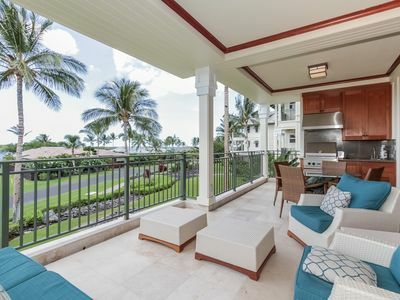 From the lanai, you will enjoy the lush tropical views to the pool, sipping your favorite drinks and BBQ-ing for your friends and family or watching the children play on the grass. 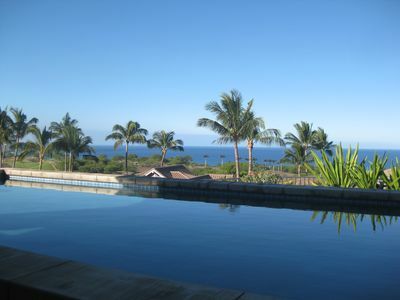 The Palm Villas at Mauna Lani includes a beautiful swimming pool, spa and fitness room. 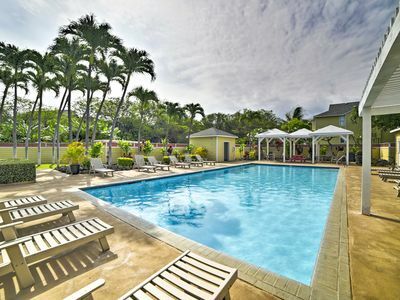 Palm Villas is a new development of about 10 years old. 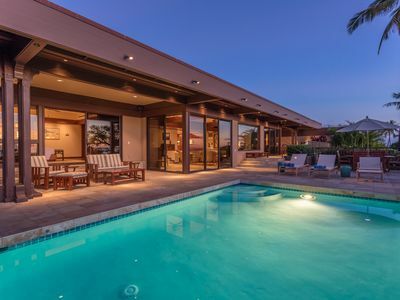 IN ADDITION....Across the street is a world class spa and tennis club, complete with steam rooms, massage gardens, fitness center, and lap pool. A drop in rate applies. 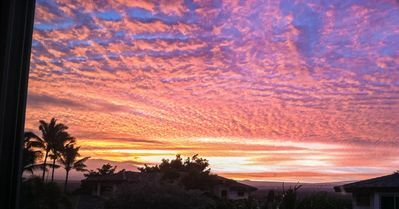 There are plenty of walking trails just right outside the entry gate of the Palm Villas that take you past Lava tube caves and historic fishponds so scenic your jaw will drop in amazement! 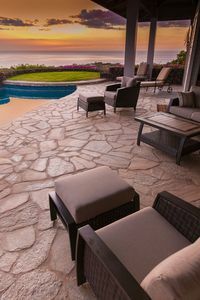 This is truly the best place to relax, enjoy the beauty, and unwind. 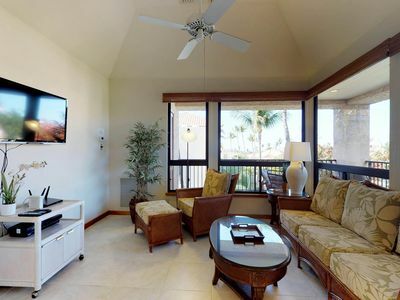 You will be provided with the Mauna Lani Beach Club Card which will get you easy access to the best swimming and snorkeling beach around. You can rent paddle boards as well as other beach equipment there. However, we have many beach toys, fins and snorkel equipment as well as boogie boards in the garage for your use. Included also is plenty of beach towels, coolers, beach umbrellas provided. Hair Dryer's are also provided so no need to bring one. 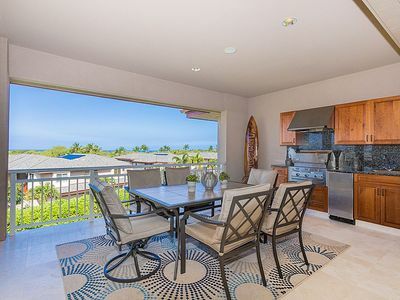 The condo is managed by Kohala Estate Realty, LLC, a professional real estate and vacation rental company. They will be available for any guest needs during your stay. The owner of the company lives at Palm Villas. We offer CSA Travel Insurance and CSA damage protection. Just ask our Reservations Manager about it at time of booking. 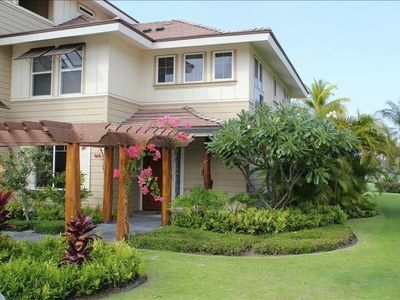 Private Gated Ocean View Home - Apa'Apa'a - Mauna Kea Resort - Best Value! Beach Club Access! Overlooks Rec Center! 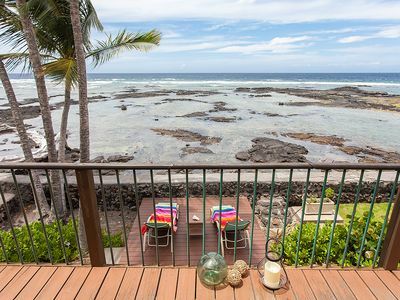 Absolute Oceanfront Puako Bungalow - Check our summer special rates. 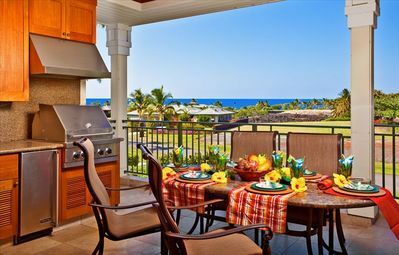 Sunset Golf Course Views from Lanai with Outdoor Kitchen! 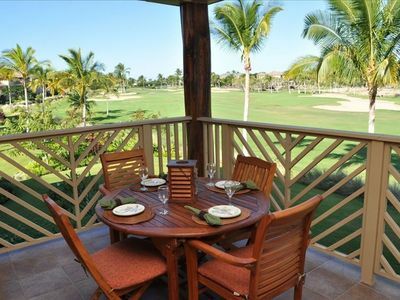 Ideal resort retreat with access to golf, tennis, shared pools, hot tub, & more! 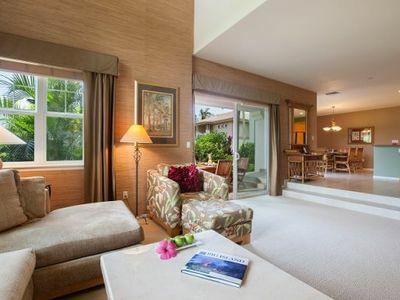 Spacious resort home with shared pool and hot tub near beach and golf courses! 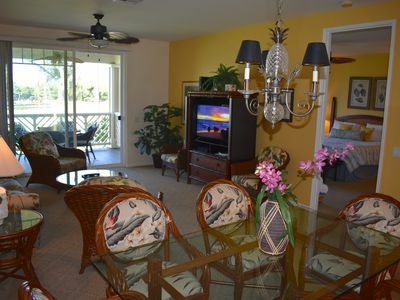 Very Nice 3 Bedroom Townhouse, Sleeps 8! 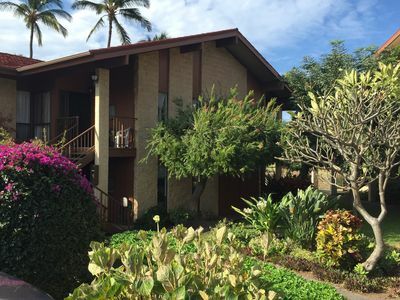 Updated Waikoloa Village Condo - 10 Mi. To Beach!